A long delay in obtaining lab results led to a man being wrongfully accused and jailed for the killing of a fellow tenant at an ill-reputed Winnipeg rooming house — a death ultimately found to be caused by an accidental overdose of booze and pills. Maier was arrested in late February, accused of killing McKinnon after an assault during a drinking party inside a suite at 626 Balmoral St. 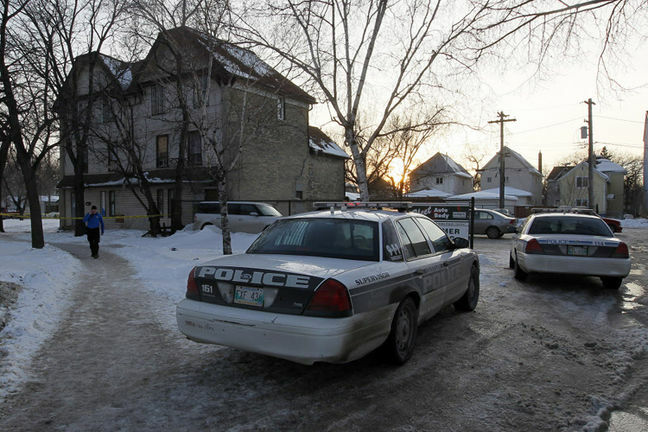 The rooming house has been known as a troublespot for police and is often derisively called Winnipeg’s “Murder Mansion” due to past reports of extreme violence within its walls. Maier was accused of causing Ron McKinnon’s death on Feb. 25 after assaulting McKinnon for putting his hand on Maier’s girlfriend’s leg during the party. He admitted today he kneed the 54-year-old in the groin and punched him twice in the face for making the unwanted advances. McKinnon was then helped back to his suite in the rooming house and put to bed after his escorts helped him clean up. Maier was arrested after McKinnon was found dead many hours later. Police initially concluded the death was from blood loss from a laceration to his cheek sustained in the assault, Crown attorney Chris Vanderhooft said. In a March 1 statement announcing Maier had been arrested, police specifically said an autopsy revealed McKinnon died as a result of injuries suffered in the assault. But, court heard today, a preliminary medical examiner’s report said that a toxicology examination of McKinnon’s blood was needed before any final ruling on cause of death could be made. Defence lawyer Martin Glazer said after making a request for autopsy information shortly after Maier’s arrest, he got an initial document in April which didn’t list any cause of death. It was one of several requests for related information both he and the Crown would make over the coming months. But it wouldn’t be until Sept. 30 that a doctor confirmed RCMP lab findings made weeks earlier that the official cause of McKinnon’s death was from a “mixed drug overdose” of alcohol and prescription medications he was taking for depression and obsessive compulsive disorder, court heard. There was evidence McKinnon had sustained blunt force trauma but it wasn’t of a severity that could have caused or contributed to death, Judge Carena Roller was told. The delay in getting the lab results was because of pressures on the system and the complexity of the work involved, court heard. Vanderhooft described the testing as “not a simple matter.” The pathologist and the Chief Medical Examiner’s office were doing everything they could as soon as they could, he said. “I didn’t murder anybody,” he told them. Turns out he was right, said Glazer. “We have avoided what well could have been a wrongful conviction,” Glazer said. The lawyer added he hoped the case would be a learning experience for police to wait until they have conclusive autopsy results before laying charges. Roller sentenced Maier to eight months of time-served for assaulting McKinnon and causing him bodily harm. He was due to be released today. Roller called the developments unusual. “Hopefully a very unique set of circumstances as well,” she said.